Grew Up... as a citizen of the jungle. Mowgli was separated from his human family as a baby and raised by a pack of wolves. Since then he’s never even seen another human being. Instead his world is full of jungle animals of all shapes and sizes. Visiting... the edges of the jungle. 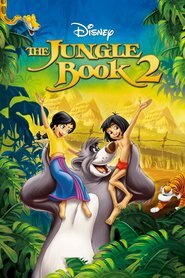 When a villainous tiger named Shere Khan threatens his safety, Mowgli has to leave his home among the wolf pack. He travels across the jungle with help from a protective panther named Bagheera and a laid-back bear named Baloo. Profession... none; he’s too young to work. Mowgli’s just a kid, so he doesn’t have to worry about working for a living. 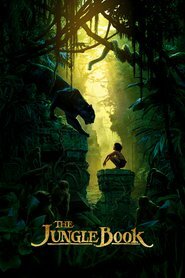 Interests... designing and engineering “tricks.” Mowgli has an innovative mind and he spends his time daydreaming new inventions that can help him survive in the jungle despite his lack of animal abilities. Using pulleys, levers, and other designs, Mowgli helps improve life in the jungle for him and others around him. Relationship Status... single. As the only human in the jungle, Mowgli doesn’t have a lot of dating opportunities. Challenge... figuring out where he belongs. Mowgli has spent his life trying to fit in. Whether with wolves, panthers, elephants, or bears, Mowgli is constantly trying to find his place within the jungle hierarchy. That becomes even more necessary when Shere Khan threatens to harm Mowgli if he doesn’t leave the jungle and return to the human world. Mowgli's popularity ranking on CharacTour is #1780 out of 5,000+ characters. See our top-ranked characters and read their profiles.